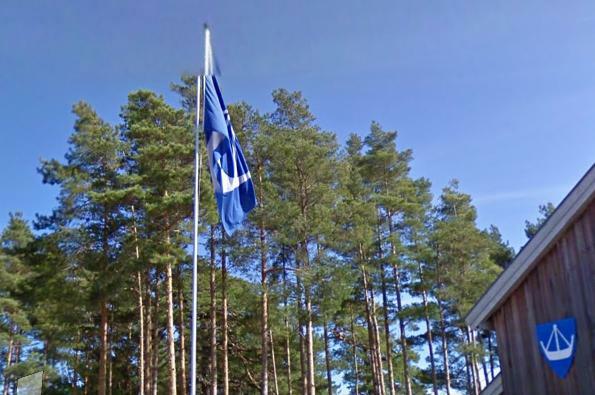 Here is flag and coat of arms of Hvaler. Administrative center of Hvaler is Skjaerhalden. It was approved on 9 December 1983 after a drawing by Hallvard Trætteberg.